Nestled in the northwestern San Joaquin hills, the community of Shady Canyon is a collection of luxury custom homes specifically tailored to each individual residence. 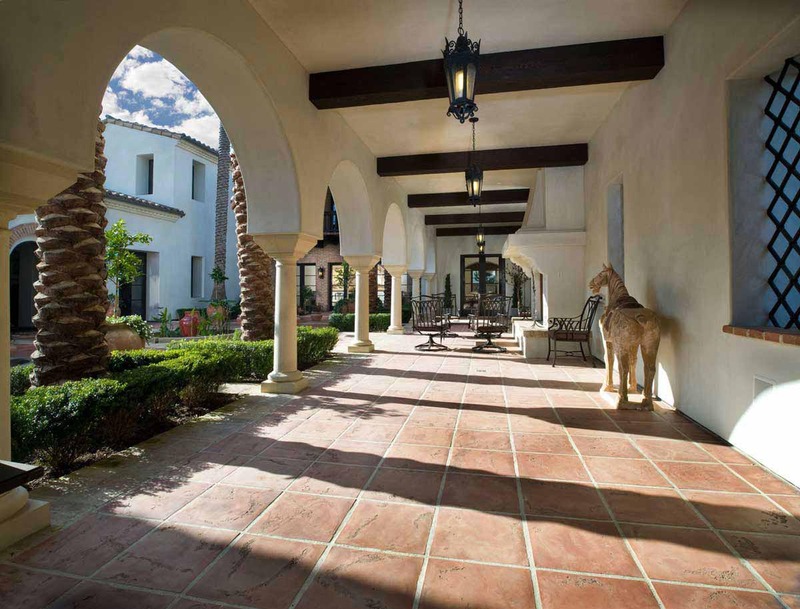 This custom residence was designed to create a sense of true traditional Andalusian style architecture. The home sits upon a 29,816 square foot parcel, which is surrounded by natural vegetation and wildlife. Particular emphasis was placed on the indoor/outdoor relationship by creating over 2,000 square feet of interior entry courtyard surrounded by traditional balconies, wood burning fireplaces and French doors opening to the art gallery, all of which create a true sense of outdoor living while also maintaining the serenity of the natural surroundings. The design was influenced by the homeowner’s priceless art collection, which is reflected in the long axial hallways and termination points for the display of paintings and sculptures. The exemplary quality of materials and detailing creates a true sophistication that is unparalleled.